Home Starring of the Day VIRAL: Mich Liggayu happily jammed while Jam was in critical condition? 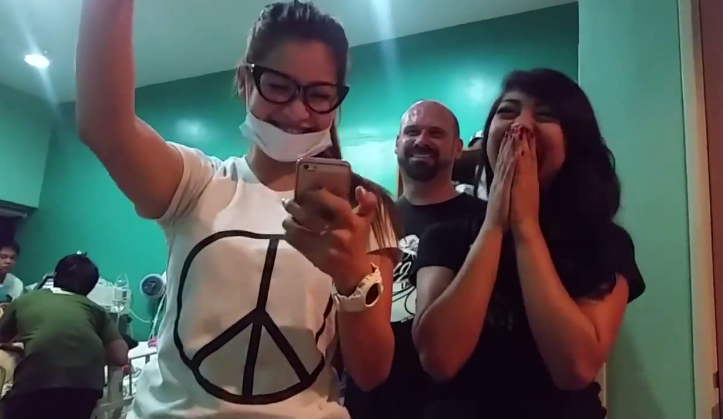 VIRAL: Mich Liggayu happily jammed while Jam was in critical condition? Michelle Ligayu,the girlfriend of Jam Sebastian,is now in the hot seat after that much-publicized video of Mich showed off 'rude' behavior while her boyfriend,Jam,was in critical condition inside the ICU room. Netizens aired their anger and disappointment to Mich who just jammed happily while her boyfriend was in 50-50 condition. In a 2-minute clip,it can be seen that Jam's mother,Maricar,asked Mich with her friends to minimized their voice but Mich still continued what she was doing. 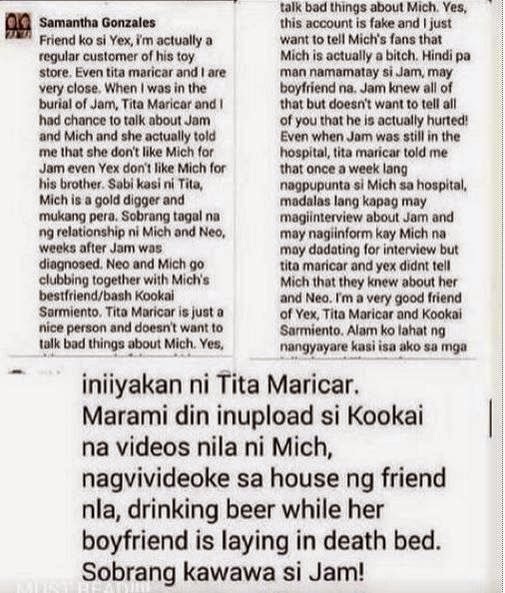 Rumors circulated also that Jam's fiance,Mich,allegedly dating Neo Domingo even weeks before he died.A self-proclaimed friend of Yexel (Jam's brother) and a close friend of Jam's mother stated the 'truth' about 'NeoMich' current status that incurred the wrath of the netizens more.